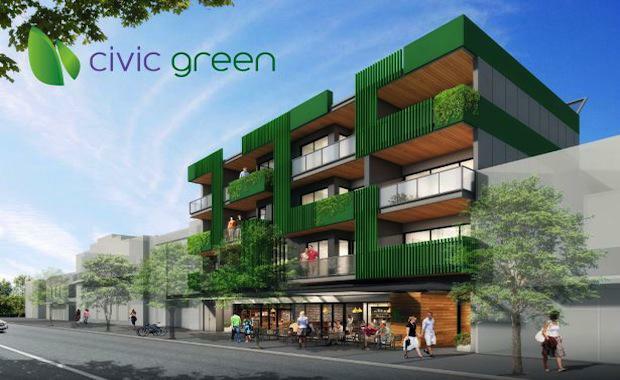 Within the King Street Precinct of Newcastle’s CBD, Civic Green, a boutique apartment complex is holding strong buyer interest in the wake of development approval. Mark Kentwell, Managing Director of PRD Newcastle and Lake Macquarie has said that the $13 million apartment development has attracted significant pre-launch interest, which has increased since the development approval in late December. Sydney-based developer Life Property Group commenced sales prior to securing approval, reflecting on the confidence in Newcastle’s property scene. “LPG’s faith in the market and this wonderful location has been rewarded because the project has been well received from the get-go,” Mr Kentwell said. Mr Kentwell has said that the development has been attracting a mix of owner-occupier and investor buyers. “They like the smaller scale of the project and the fact that its range of apartments will produce a good mix of owner-occupier and investors in the building,” Mr Kentwell said. The apartments are designed by Space Design Architecture and range from 40 square metres and 68 square metres in size.